Don’t let the colder weather keep you inside this season. Bucks County is filled with a variety of festive tours and attractions to excite a whole crowd. This Christmas-centric adventure is for all ages. Get an inside glimpse at the famous figurines and the culture surrounding their creation. 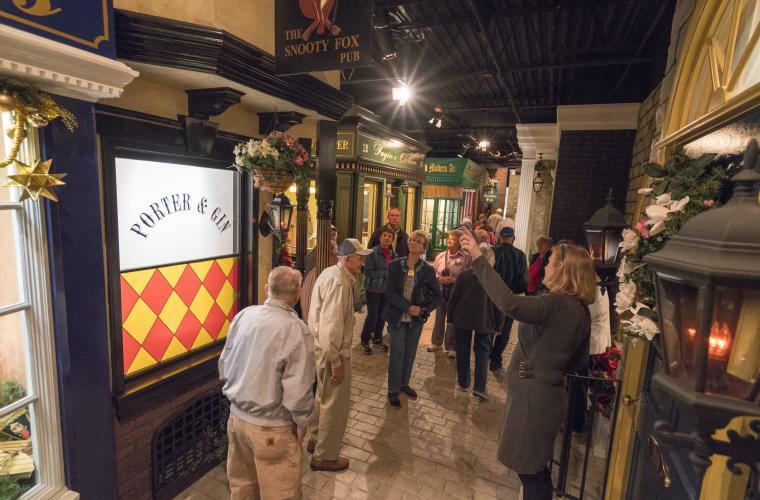 Take a stroll down a cobblestone winter street scene out of Dickens’ London before entering the Christmas Museum, featuring displays of Byer’s Choice Carolers® and Christmas traditions from around the world. Pack your cars with your friends and family and head to Shady Brook Farm’s Holiday Light Show! Drive through 2 miles of more than 3 million lights that illuminate acres of farmland. Encounter magical displays and familiar characters as you sit in the comfort and warmth of your own car. Or, enjoy the view from a wagon ride and warm up around a bonfire with hot cocoa and s’mores. 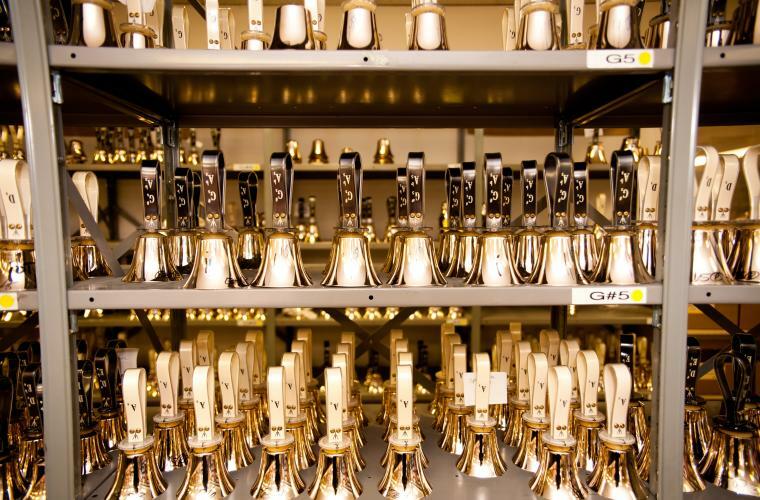 Since 1973, the world’s leading manufacturer of handbells, hand chimes and accessories has been located right here in Bucks County! The Malmark Bellcraftsmen factory provides refurbishment, workshops, and tours that give visitors a chance to see craftspeople making the quality products. Come see why Huffington Post rated this as "One of the Best 50 Immersive Tours in the Northeast!" Join Santa and Mrs. Claus on an authentic train ride through the Bucks County countryside as you take a roundtrip ride from New Hope to the North Pole. Experience the sights, sounds, and tastes of the holiday season with decorations, cookies, cocoa, and live music all in the comfort of your pajamas! Create a new tradition this season! If you’re a group of thrill seekers, then the best place to spend your night is at a murder mystery dinner! Without A Cue Productions puts a dark twist on the holiday spirit by hosting Homicide and Holly. Reserve your dinner party for a Friday or Saturday evening throughout the holiday season. But beware, this is not for the faint of heart! 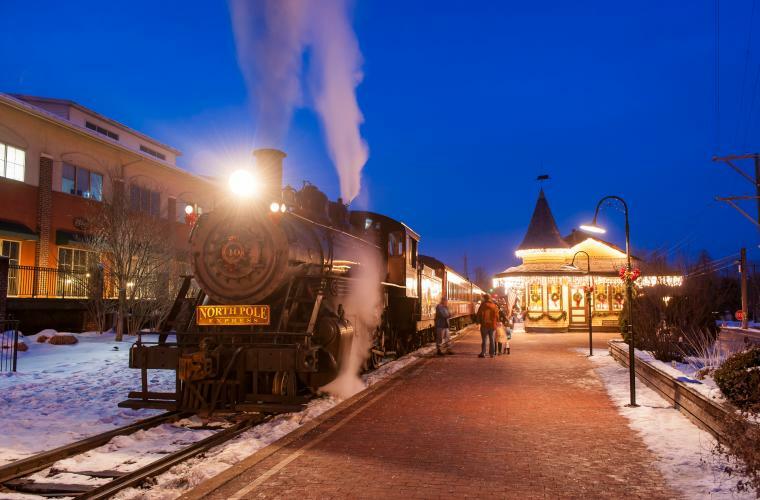 During the holiday season, Peddler’s Village turns into the complete winter wonderland. They offer many different experiences throughout the season, from a Gingerbread House competition, meals with Santa, extravagant decorations and lights to a Christmas Festival with a Santa Parade!